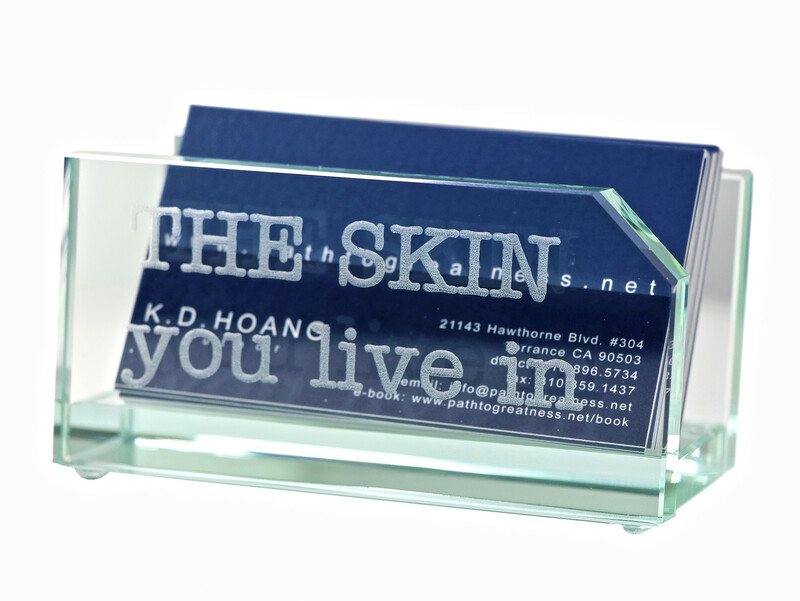 Size: 4.75" x 3" x 2.2"
Dress up any desk with this glass business card holder with name plate. 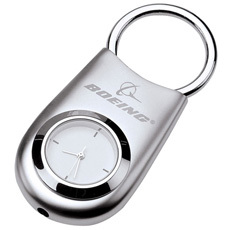 This distinguished accessory makes the perfect addition to any workspace. Set it on the desk of a top tier professional, or place it on the surface of a cluttered home office space. Either way, it will make everyone feel like a CEO. The card holder is designed of an elegant jade glass and holds standard sized business cards. 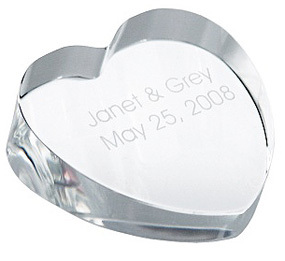 The base features a silver name plate that can be engraved for a personal touch. 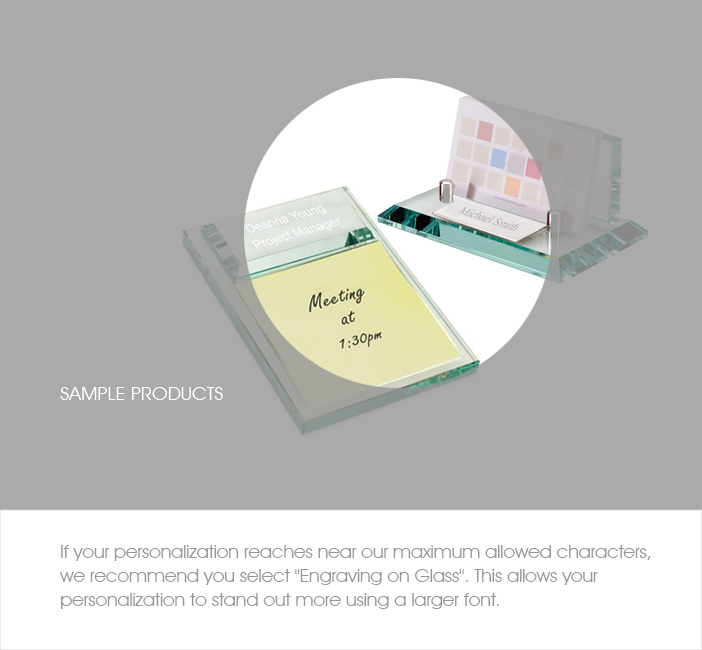 The Executive Glass Business Card Holder with Name Plate can be displayed on a credenza, corner office, or even in a cubicle and it will still capture the attention and awe of all who see it.Give this glass business card holder as a corporate gift to recognize outstanding achievement from your star team member. 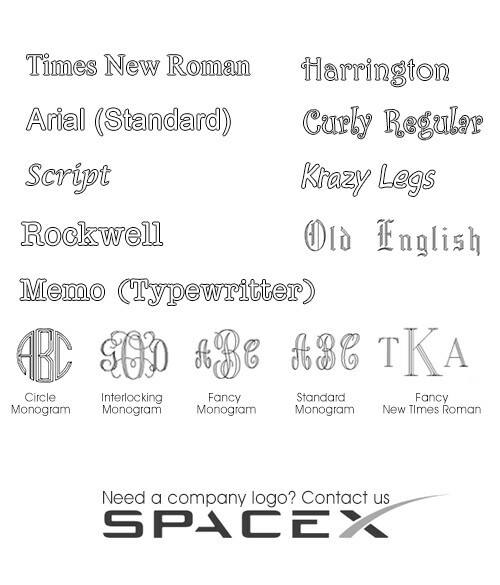 Or surprise that hard to buy for boss with their very own personalized especially for them.